Visit Lodi! presents #LodiStories: Behind the Wine, a series exploring the lives of locals who help give Lodi its character and charm. Lodi, California is known for its award-winning wine, but what gives the destination its warmth and passion are the people who call this city home. Follow #LodiStories starting July 2016. You can follow the stories on Facebook, Twitter, Instagram or YouTube. We want to hear from you. Have a great Lodi experience? Share it with us on social media with #LodiStories. Discover all that Lodi has to offer and create your own story! Dan is the owner of Headwaters Kayak and you can find him on the water most days – fishing, posing for a SUP Yoga class, or just floating off into the sunset. He loves teaching and sharing his passion with anyone visiting Lodi. 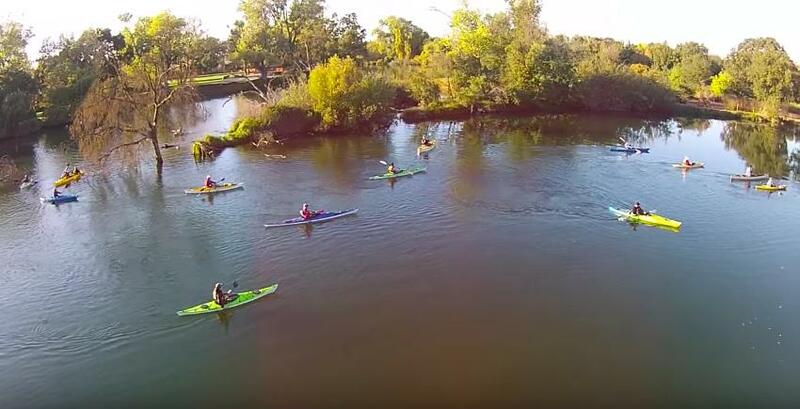 He teaches an array of kayaking and SUP paddle board classes to travelers and locals looking to try a new, adventurous Lodi activity.